BSCW Classic is in use around the world. With more than 500 functions, it offers the right solution for every task. Turn your ideas into reality! Our proven system has been supporting information flow and knowledge management at numerous companies for more than 20 years. Create work groups, synchronize documents with your PC or store documents in your system via drag and drop. Use BSCW to map and optimize your processes. Set up tasks and define individual steps in so-called project phases, so that your company is even more streamlined in the future. This versatile feature makes it possible to implement efficient scheduling and progress monitoring for projects. Set up task responsibilities and specify goals to ensure an optimal workflow. Never miss another meeting and stay organized. Without calendars, managing daily life would be impossible. That’s why the calendar is a vital element of the BSCW system. Create calendars for various folders. Add meetings and appointments for other members so that the workflow is even more simple and organized. Use our integrated tool to streamline the laborious process associated with scheduling meetings. Obtain opinions and feedback with the comprehensive poll and survey feature, or plan projects, events, celebrations and much more. The discussion forum, which is especially valuable when it involves complex topics, can lay out comprehensive structures in a clear fashion, making it a perfect tool for tracking discourses, even over longer periods of time. The chat feature is one of the most important functions for designing fast and productive work activities. 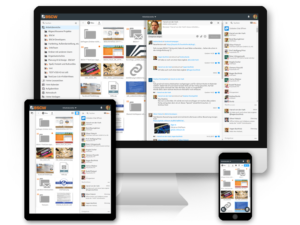 Eliminate the flood of e-mails and use our chat function for real-time communications with your colleagues. Use the comment feature to leave comments anywhere within a new document, making your work activities even more effective and intuitive. Over the years a large number of projects have been implemented with the BSCW system. Below we have highlighted several successful examples. This web-based platform is designed especially for secure collaboration in international clinical studies. It helps clinical research organizations, institutes and pharmaceutical and biotechnology companies rationalize their processes and structure the exchange of information more effectively. The CloudTeams collaboration platform is an EU-sponsored project developed under the leadership of the Fraunhofer Institute for Applied Information Technology FIT. The team platform component that is used by software developers is an adapted and enhanced version of the BSCW system. The central information system for the advancement of energy research provides project initiators, the government and the public uniform and centralized access to information regarding research activities in the area of energy in Germany. This platform thus helps to make government funding policies in the area of energy research more transparent. Try BSCW 5.2 Classic today! We HOST the service for you. We manage the technical stuff in the background so that you can carry out your activities worry-free. Register now and test BSCW Social for 90 days at no cost! Take a look at our prices! Prefer to host the service in-house? Download the BSCW server software now and learn how you can save costs by hosting the service yourself. Download now and test BSCW Social for 90 days at no cost! Download the current version 5.2 Classic for your server today. Please read the installation instructions and the additional information in the administrator’s manual. When upgrading an existing BSCW-Server, please also check the upgrade hints in the administrator’s manual. I have read and I accept the licence agreement and the copyright notice. A supplementary database is not required. Access to the server is through a web browser (or other clients such as WebDAV Explorer or MS Office) exclusively using HTTP protocol (port 80) or via an SSL connection (port 443). text and HTML documents may be edited directly in your Web browser. Microsoft Office documents may be edited directly by using Internet Explorer and WebDAV. All types of documents may be edited directly by using their respective local applications and the Zope External Editor. For the last point you need to install the Zope External Editor, then change your BSCW preferences accordingly. Afterwards, selection of the action Edit (in the Change menu) will directly open the right local application (e.g. Microsoft Word for Word documents). and execute the installer. In case of problems during installation and while using the Zope External Editor, click on the trouble shooting link below. In section External editors, select what document types you want to be directly edited by local applications, e.g. Microsoft Word or OpenOffice Writer. The Zope External Editor was originally developed by members of the Zope/Plone community for the content management framework Zope. The software is provided under the Zope Public License. OrbiTeam provides a Zope External Editor edition which is optimized for BSCW. Windows Defender warnings: You may ignore Windows Defender warnings and proceed with the installation. The Zope External Editor, BSCW Edition, is a rather recent development and not yet treated as a trusted application. Proxy Server: If you are using a proxy server, you have to configure the Zope External Editor so that it also uses this proxy server. Using Windows, you can easily edit the configuration file of the Zope External Editor (ZopeEdit.ini) by starting the Zope External Editor from the Start menu. Check your local proxy configuration in your Web browser (or ask your system administrator) and enter the details into the configuration file of the Zope External Editor (proxy, proxy_user, proxy_pass). More configuration hints are available in the README. 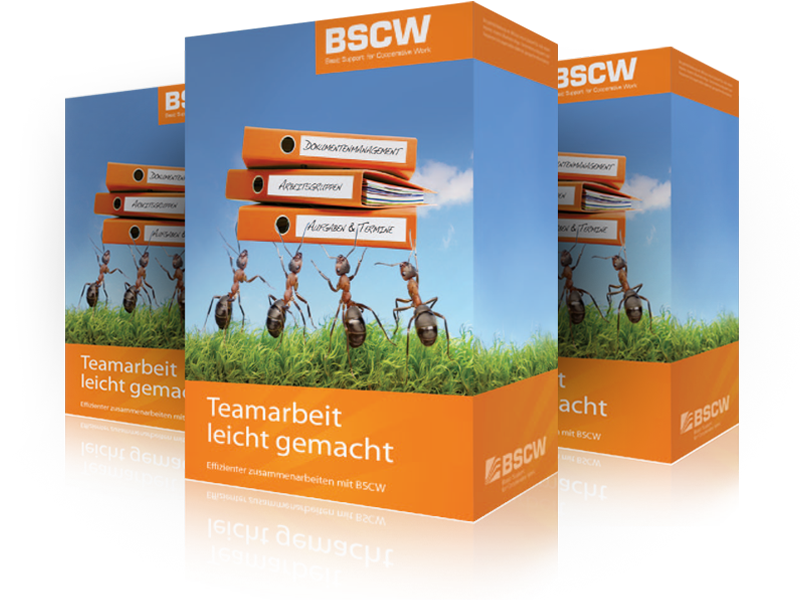 The official BSCW software distribtution already contains resources for four different languages: English, German, French and Spanish. Below you find further language resources you may install with your BSCW server. To add a new language to the BSCW server, select the appropriate language from the list below and follow the installation instructions once the download is complete. Note: End users should configure their language preference in the BSCW options. 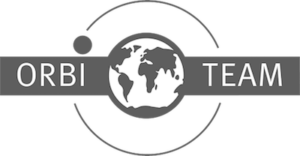 We would be very pleased to hear from people interested in translating the BSCW interface to other languages — please e-mail us at support@orbiteam.de. Please note that some of the language extensions are not completely translated. They will still function with the BSCW server however. Any information that is not translated will simply be displayed in English. Subscribe to our newsletter and receive frequent updates about new versions of BSCW software. The newsletter is free of charge, of course. Also you may simply unsubscribe at any time. Your email address is stored only for the purpose of sending out the newsletter.